Hon Justice Binta Nyako, the presiding Judge of the trial of Mazi Nnamdi Kanu and other 3 defendants on the case instituted against these Biafra restoration agitators by Nigeria government through the unconstitutional agency known as DSS, could become the living symbol of JUSTICE in Nigeria judiciary if she and her panel of judges will bluntly refused to be compromised by Gen Muhammadu Buhari, should she grant Nnamdi Kanu and other 3 defendants bail come December 1, 2016. 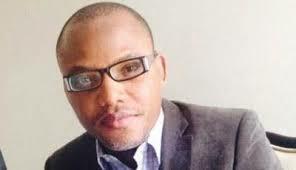 It has become obvious to the teaming followers of the case, the local and international observers and indeed good people all over the world that Mazi Nnamdi Kanu and other 3 defendants commit no other crime but demanded for the restoration of Biafra as enshrined in United Nations charter and domesticated in the L. F. N. Biafra is a nation that existed in the years of 1967 to 1970. Justice Binta Nyako must resist at all cost any intimidation, lure or compromise to commit travesty of justice against her judicial oath taken to stand for justice even unto the point of death. Grant of bail for Nnamdi Kanu and other 3 defendants in the frivolous case of treason and other charges is constitutional as they are assumed innocent until the court become convinced by the prosecuting counsels with reasonable substance that they actually committed such offence. There is no other outcome of December 1 court sitting expected by the world populace than grant of bail to the Biafran agitators who many people all over the world knew that their only sin is demand for Biafra. Should Justice Binta Nyako refuse to destroy her judicial career and reputation built over the years for the satisfaction of the ungodly yearning of an ungodly tyrant, by granting Nnamdi Kanu and other 3 defendants bail, she would have written her name in the sand of history as a symbol of JUSTICE in a tyrannical Nigeria. But if she become intimidated by the extra-judicial statements made by Gen Muhammadu Buhari that he will never release Nnamdi Kanu unless he stops agitating for Biafra, she must have destroyed her reputation in the judiciary just like Justice John Tsoho who is waiting for nothing at the moment but retirement because of the judicial rascality he committed during the time he was presiding over the case few months ago. I want to use this opportunity to tell Justice Binta Nyako that she should be brave and dispense justice accordingly, even if Gen Buhari refuse to obey the verdict of the court, it is no longer her business because she have given an unbiased ruling that an accused person deserve bail as the trial can go ahead after his bail because it is so stated in the constitution of Nigeria, Administration of Criminal Justice Act (ACJA) and other relevant laws of the federation of Nigeria. The world is crossing its fingers in anticipation of what will transpire come December 1 in the federal high court Abuja where Justice Binta Nyako is going to preside over the case. Finally, I say it again, if Justice Binta Nyako vehemently stand for justice and grant Nnamdi Kanu bail by her ruling, it does not matter whether Gen Buhari, his mad dogs called DSS and Nigeria prison obeys the order or not but she has removed her hands and name from the executive lawlessness in the democratic Nigeria. Justice Binta Nyako will rather catapult herself into the hall of fame in Nigeria judiciary as she stood for an unbendable justice in an era of tyranny in Nigeria. Will Justice Nyako learn from the ugly experiences of Justice John Tsoho? December 1, 2016 will give the world the desired answer. But it is important that Justice Binta Nyako be in the know that "It is better for any judicial institution that 99 persons who may be guilty, escape justice due to insufficient substance than 1 man who could be innocent to be punished due to the satisfaction of ungodly tyrant". Such a thing will always boomerang and bring a deadly catastrophy to the judiciary of the land. A word is enough for the wise!